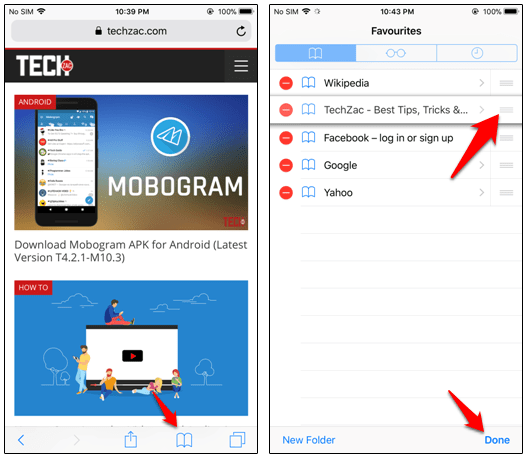 Today I am going to show you how to add or delete Favorites from Safari browser on iPhone and iPad. Believe me, this thing will increase your productivity. 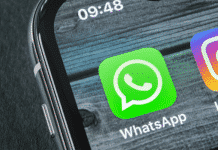 If you don’t know know what exactly the feature is, then Favorites on Safari browser allows you to access the websites which you frequently visit. When you tap on the address bar in Safari on iOS device, it shows up all of your favorite websites to visit them quickly. You just need to tap any one of them which you want to visit. It totally depends on you, that how to manage your frequently visited websites. If you have used bookmarks in any other web browser on a desktop or notebook, you are familiar with the fundamental concepts. The iPhone or iPad adds several useful tweaks, even however, like syncing your bookmarks over devices. 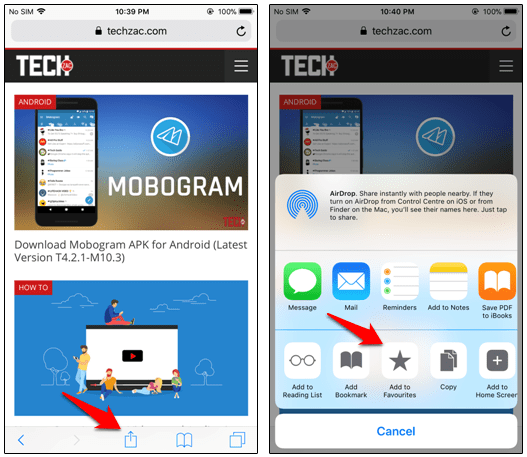 Learn all about using bookmarks about the iOS device here. 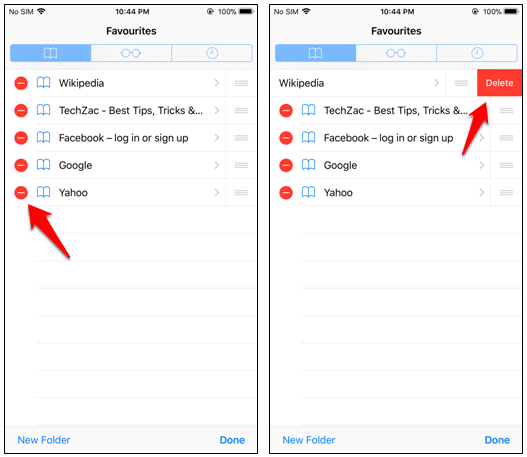 “Favorites” is among the most valued features in Safari. It can play a critical role in fostering your web browsing experience. Well, let’s check it out, how to manage it. If you regularly visit a website, then you should add that link to the Favourites list. It’ll help you to access that website quickly. 1. Open Safari browser on your iOS device. 2. Now, open the website which you want to add to the Favourite list. 3. After that, tap on the Share button and then Add to Favourites. 4. Now time to tap on Save at the top right corner. You have successfully added a web link to the Favorites page. You can follow the steps again and again to add more websites. The Favourites links work on first come first serve basis. If you have added a website first then it’ll be displayed at the top. It totally depends on your need. You can also easily rearrange the list according to your choice. 1. Fire up Safari browser on iOS and tap on Bookmarks. 2. Then, tap on Favourites and then the Edit option at the bottom. 3. Now, tap and hold the tiny three lines which are right next to a website link and drag it to top or bottom. 4. Once you finished the arrangement, tap on Done to confirm. That’s it. Now your favorites have been rearranged. You can check the changes by tapping on the address bar. At any time you don’t need a website to be listed on the Favorites list, then you can easily remove them by following the below procedure. 1. Open Safari browser on your iPhone or iPad. 3. After that tap on Favorites and next on Edit option at the bottom right corner. 4. Now you need to tap on the Red button to the left of the websites you want to remove from the list. Then, tap on Delete. 6. 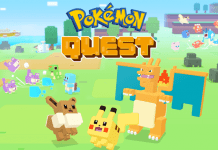 Finally, tap on Done at the bottom right corner to confirm. That’s it. You have successfully deleted some websites from the favorite list from Safari on iOS. This was all about how to add or delete favorites from Safari on iPhone & iPad. If you have any question regarding this article, then feel to comment below and share with your friends. Next articleForgot Windows Password? How Do I Log Back into PC? Nice article i m searching some good info on this topic and i found site its help me a lot now i can menage all problems like this thanks for this article.